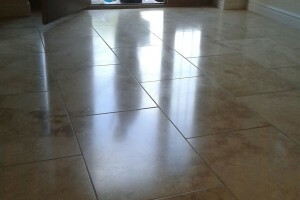 Stone flooring comes in such a variance dependant on whether it is an interior or exterior installation. The stone type determines the appearance and performance of the floor. Typical interior stone types are; marble, granite, limestone, travertine, slate, terrazzo, sandstone, terracotta, quartz, onyx, basalt and minton tiles. Each stone type has a rating on the Mohs scale of hardness, this will dictate how the surface will wear with regular abrasion from footfall or traffic. Exterior stone types will be on the higher end of the Mohs scale and will be more resistant to the elements and abrasion, these will typically be slate, granite, sandstone and concrete based materials. 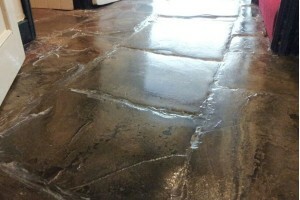 Stone floor restoration techniques differ between stone and installation types. A high quality marble within a hotel entrance will require higher grade of diamonds to polish the stone whereas a terrazzo floor will require a slightly lower grade of diamond to achieve a highly polished finish. Due to different densities of stone, the hardness and types of diamond abrasives varies to cope with the hardness or softness of the stone. The identification of stone types is a vital part of stone refurbishment. 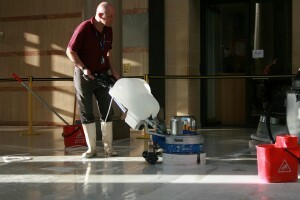 When we are working on natural stone floors which are badly pitted, scratched, dull or damaged from poor maintenance, we use diamond grinding machinery. The microscopic top surface layer of the stone will be removed using metal bonded or resin diamonds. These can remove stock of 5mm if required, the following stages of grinding involves using numerous grades of fine resin diamonds to achieve the desired polished or matt finish. Grits of diamond range from a coarse 16 grit all the way through to 3500 grit which is a very fine grade to obtain a ultra-gloss finish. When we are wet or dry grinding, it is important to mask the surrounding areas to protect against dust or slurry affecting any adjacent materials, the dry grinding process requires us to use industrial fine dust vacuums to contain the dust. 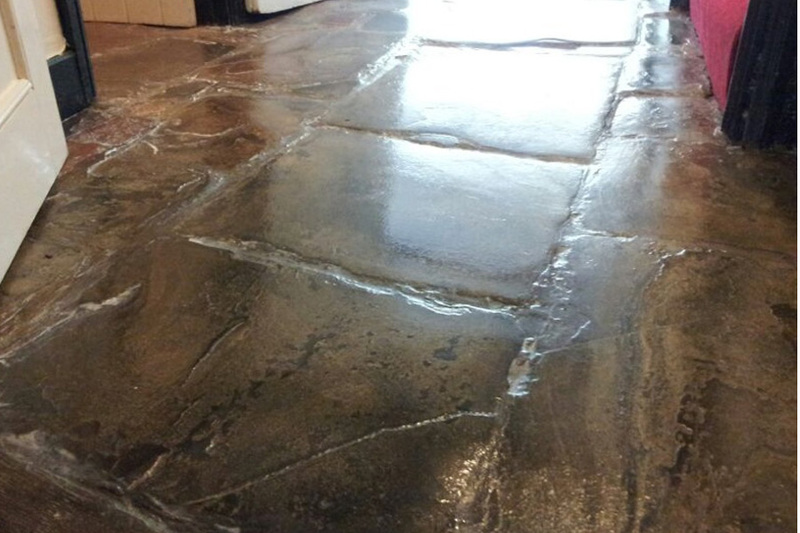 If a floor has become dull and dirty but is in need of a slight appearance lift, we can use abrasive cutting pastes that lightly remove the top surface. This is a cheaper stone honing that will deep clean the stone but are also beneficial towards cost savings over resin diamond polishing. 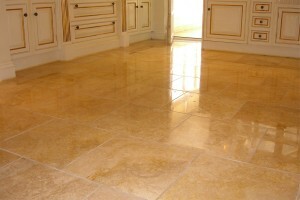 We use the correct stone polishing techniques and chemicals for the particular stone type thereafter. The results are not always as impacting as a full resin diamond cut but the transformations in appearance are always dramatically improved. We provide professional and effective stone floor restoration services, contact us today for a survey and no obligation quotation.